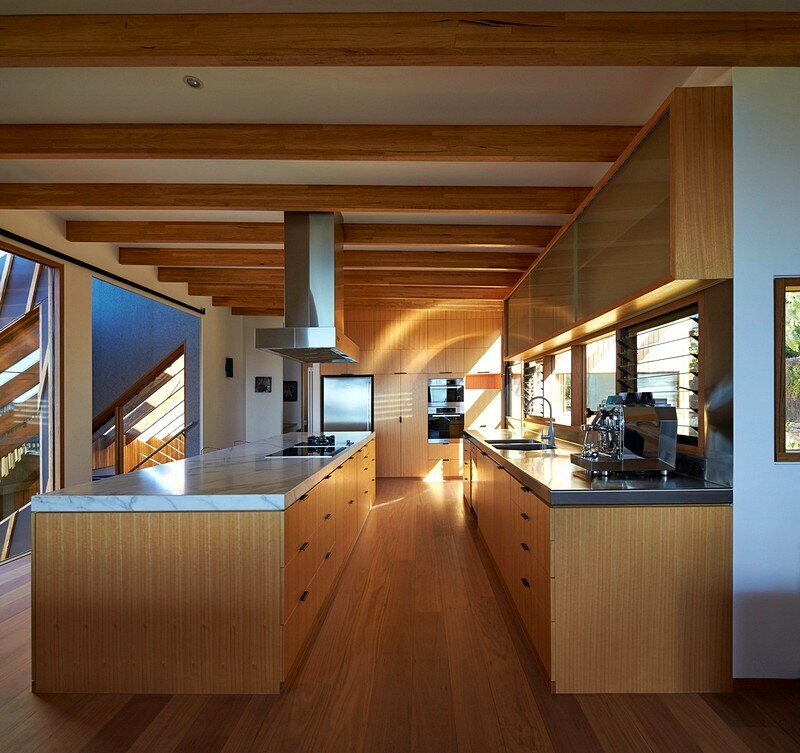 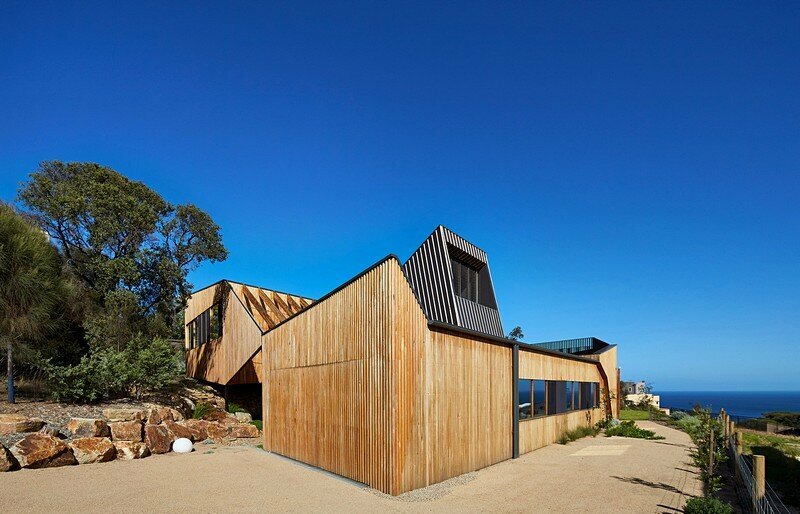 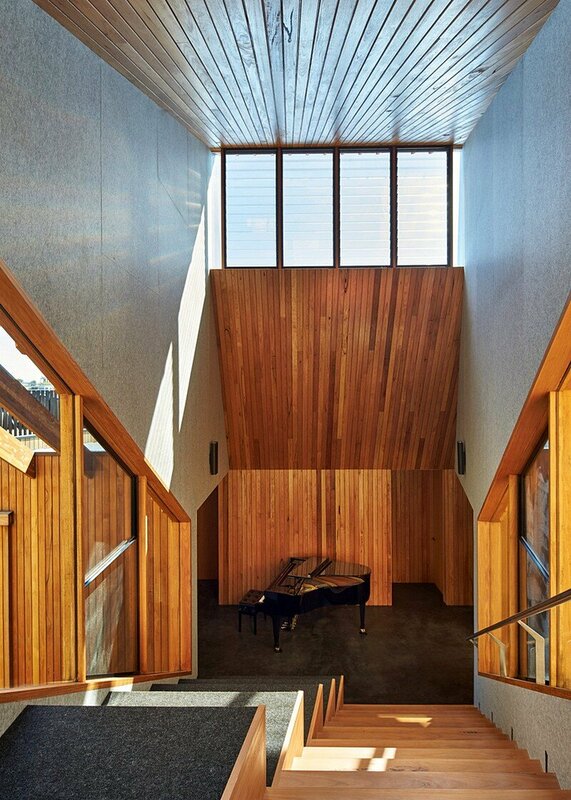 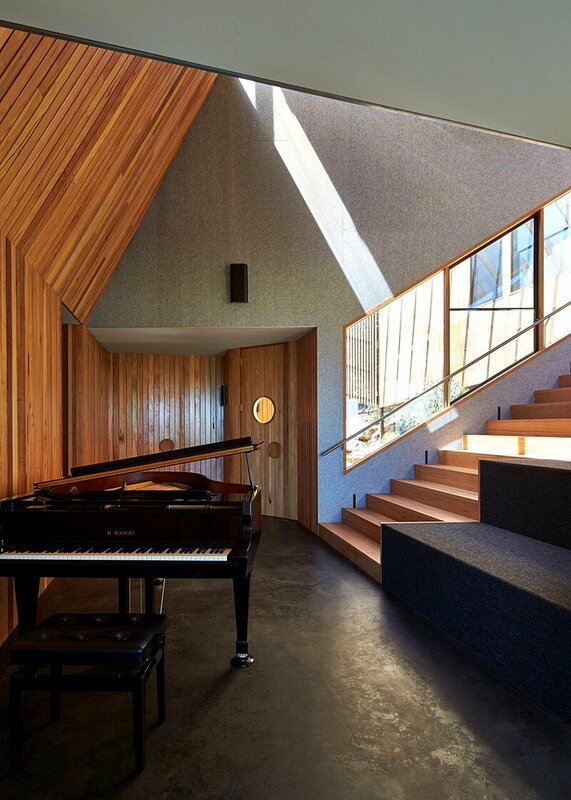 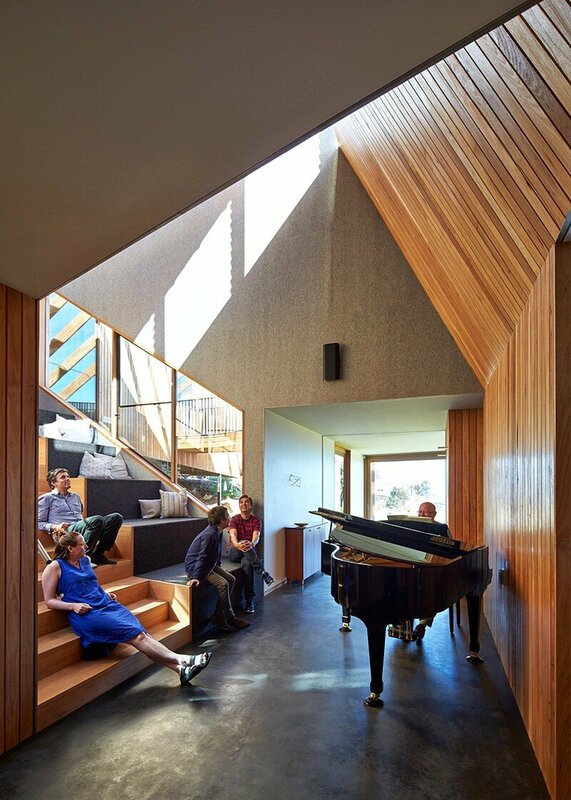 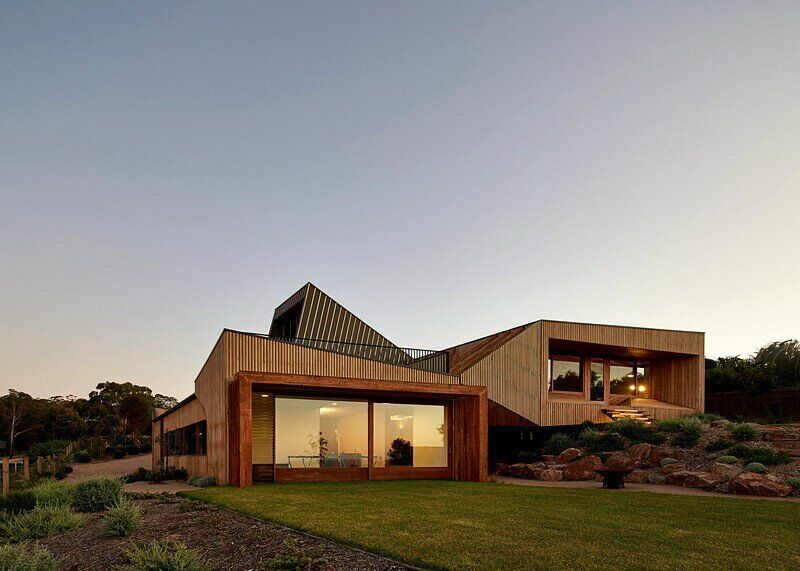 Located in Mt Martha, VIC, Australia, Split House won the 2016 AIA Victorian Architecture Awards, Commendation for Residential New. 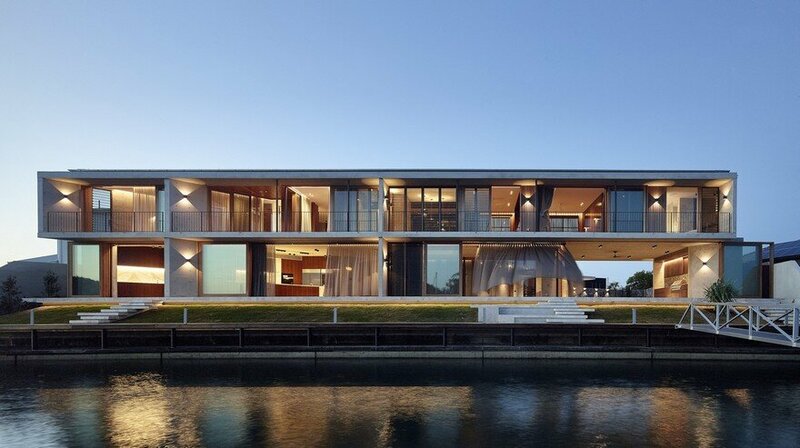 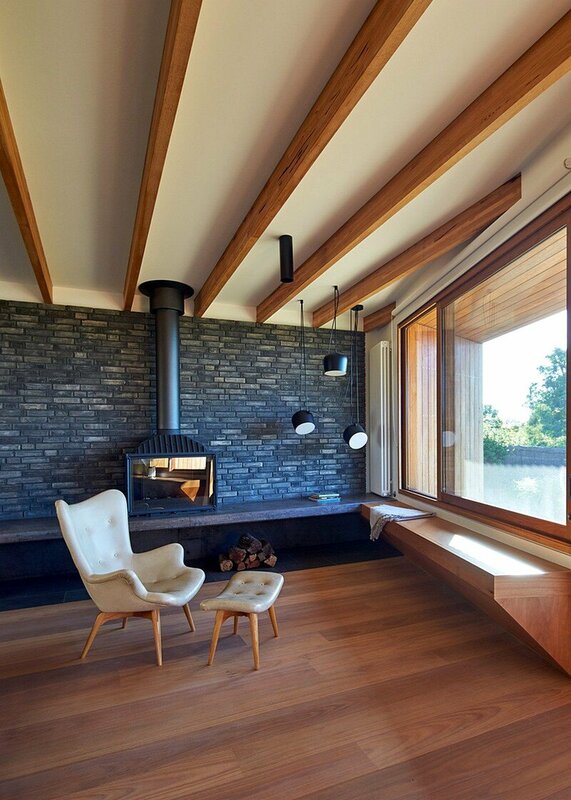 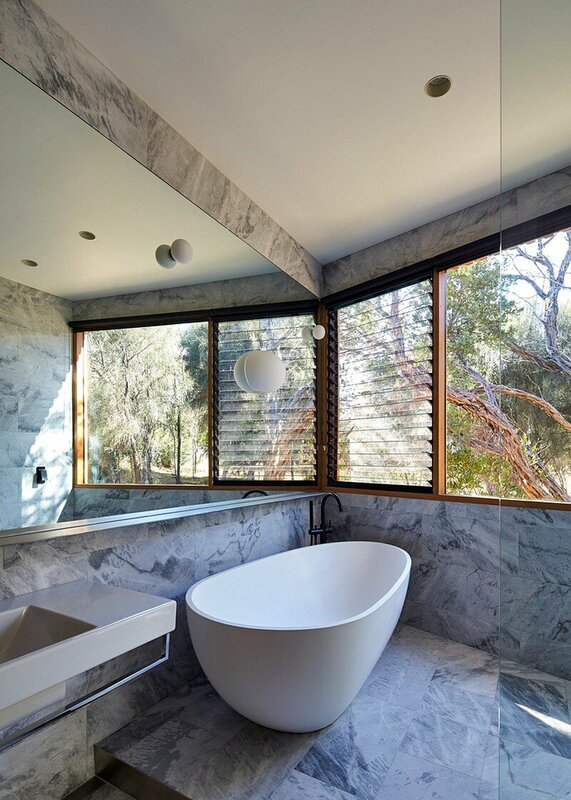 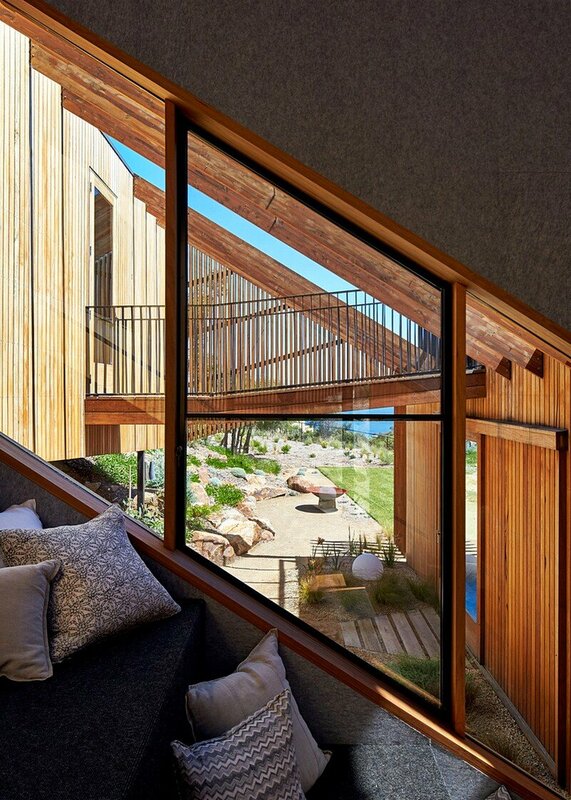 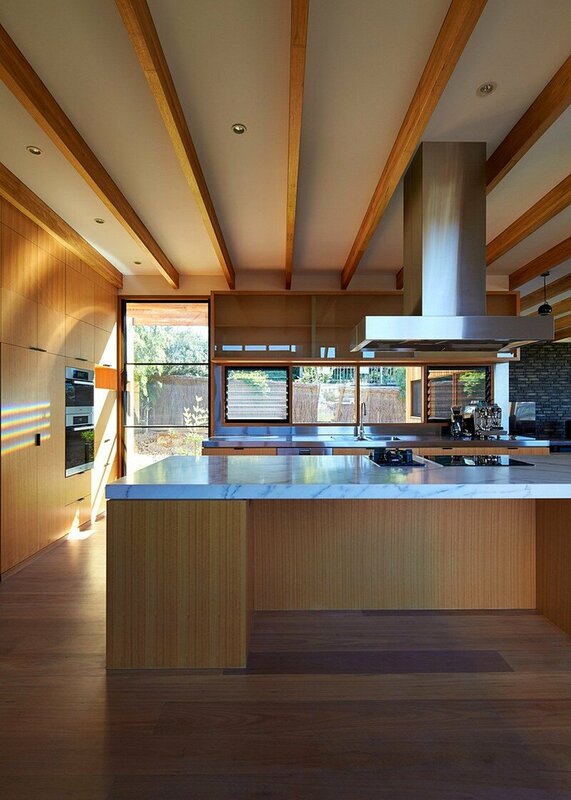 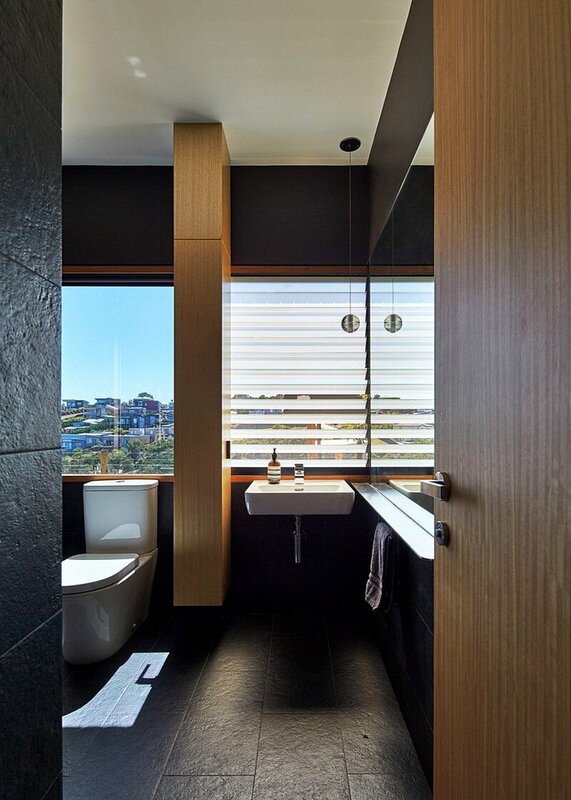 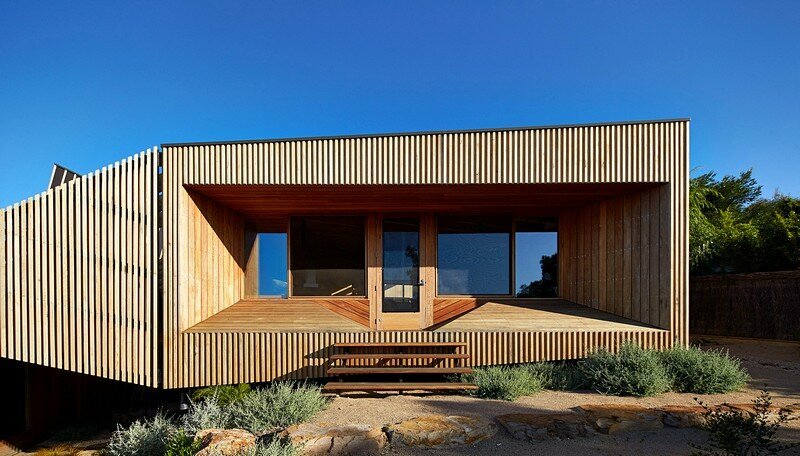 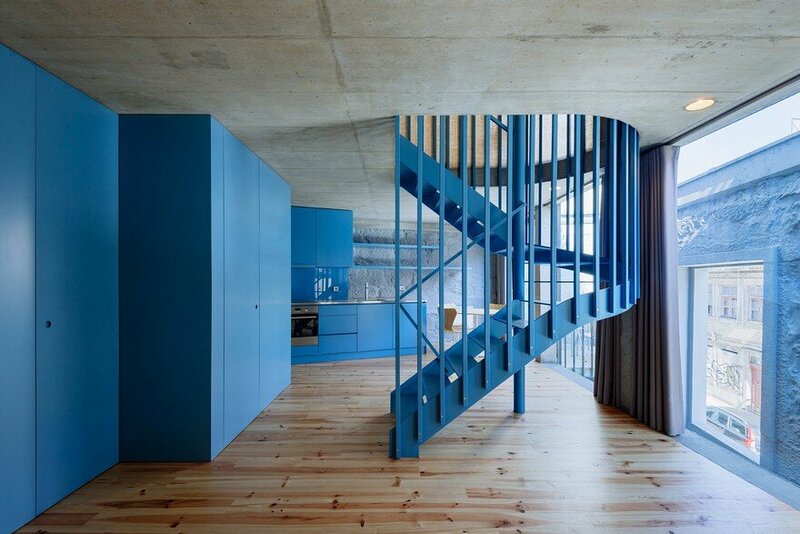 The house was designed by Melbourne-based BKK Architects. 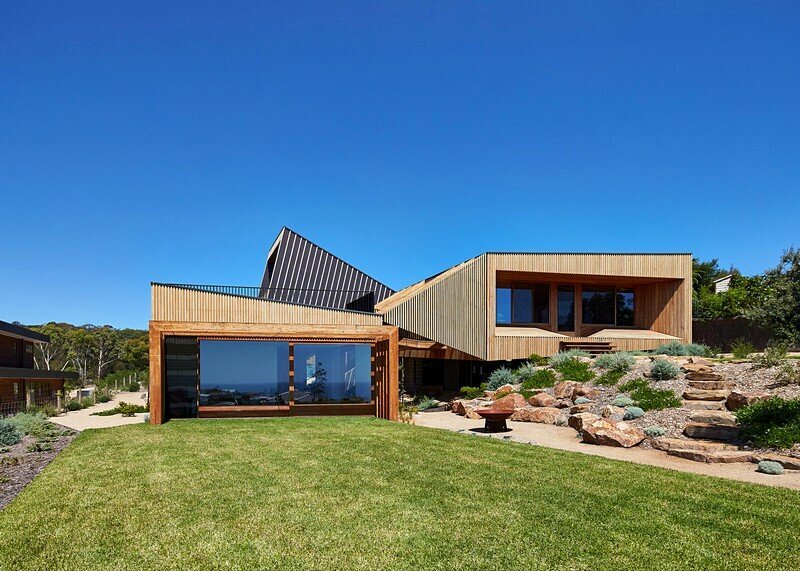 Project description: Set within a relatively recent subdivision upon the side of Mt Martha, the Split House negotiates a complex range of conditions typical of emerging coastal developments. 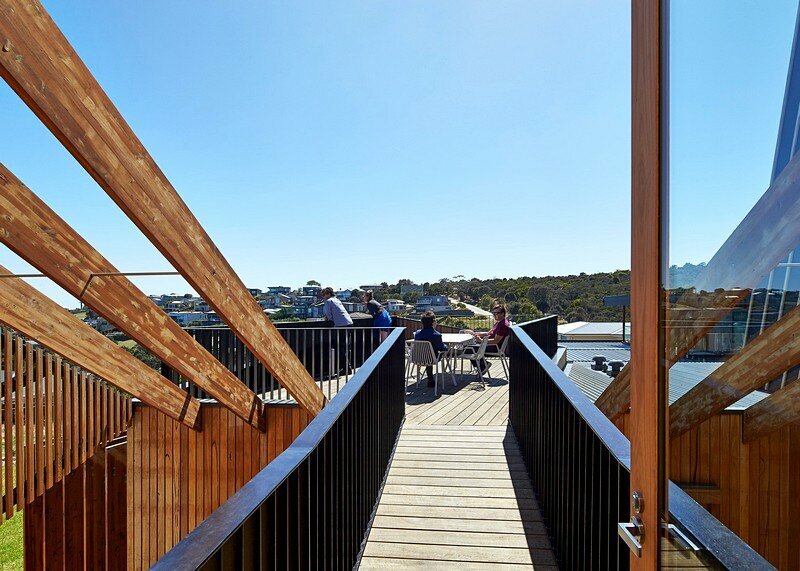 New houses for ‘downsizers’ in a suburban mode, paved driveways and letterboxes prevail, vying for the expansive views to Port Philip Bay, and backed by the relatively wild, coastal woodland of Mt Martha Public Park. 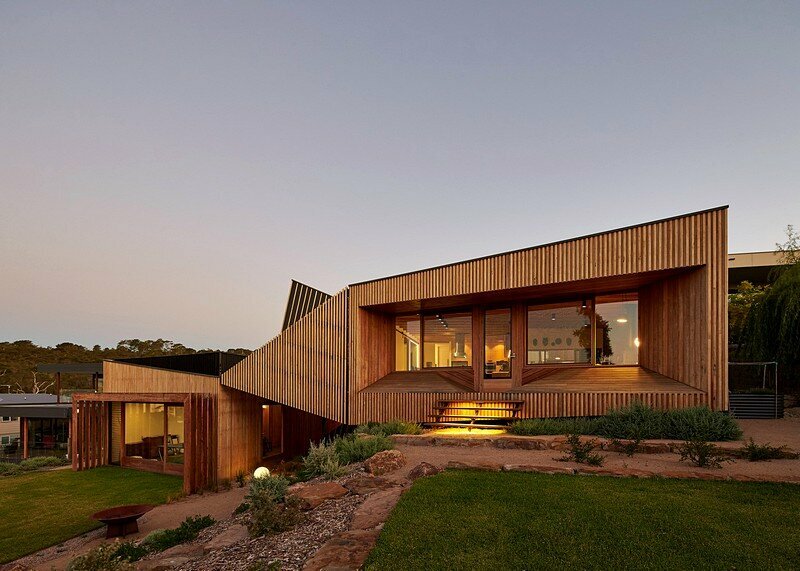 Construction works are ongoing in the area; completed houses with gardens at varying stages of maturity are punctuated by empty lots cleared of all vegetation. 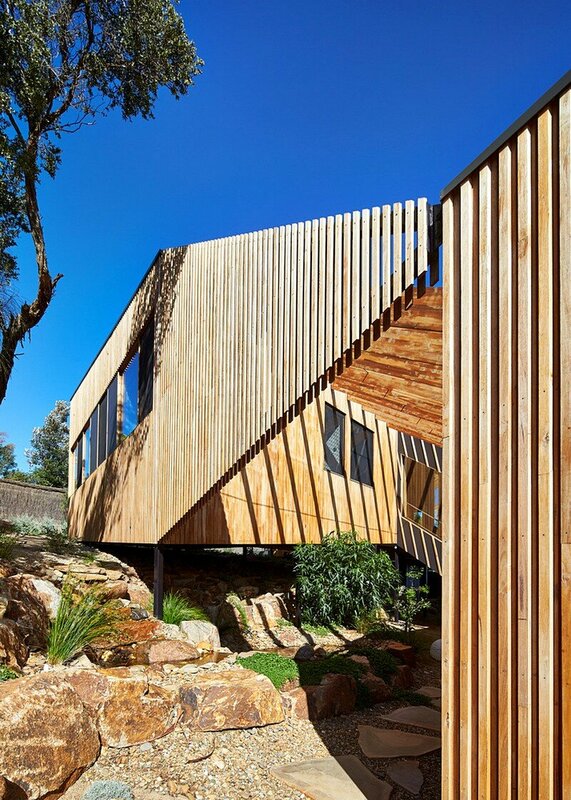 Within this context the Split House provides a range of spatial relationships to its site and the broader territory that carefully balances the owners’ desire for privacy and engagement with their surrounds. 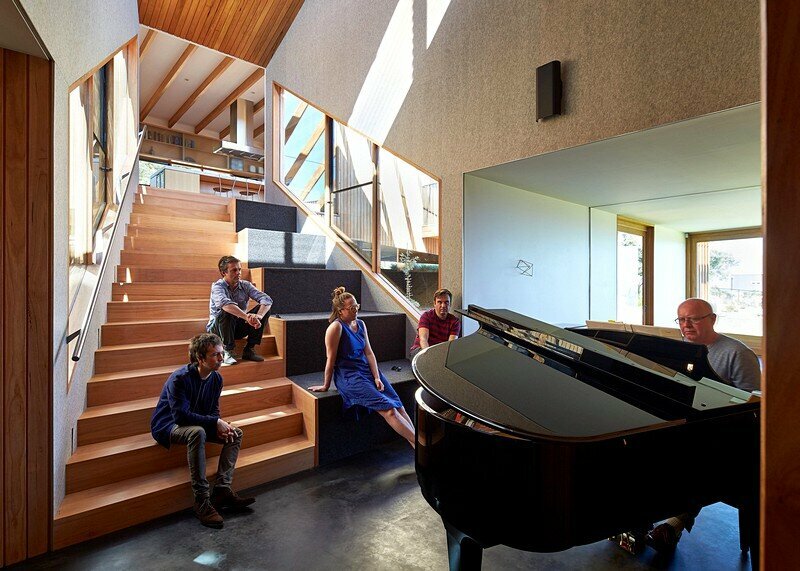 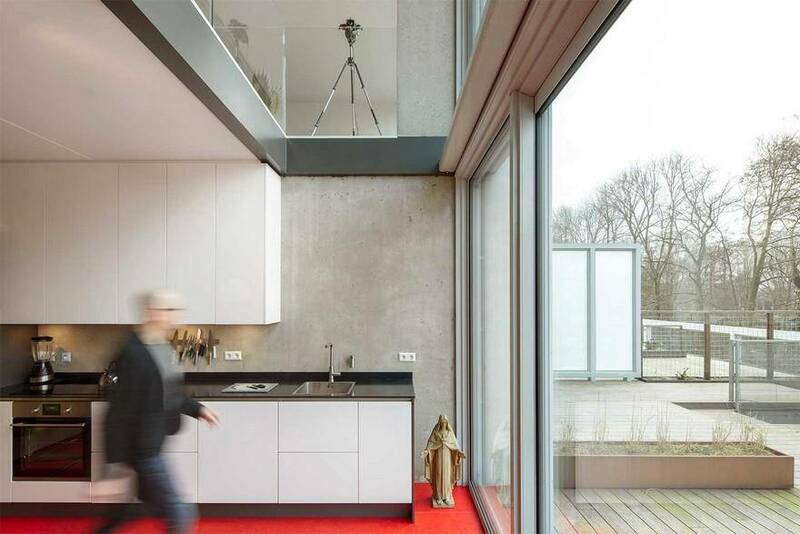 The house comprises 2 relatively simple volumes linked by a splayed stair that also acts as a seating area for people to gather, listen to music, sit in the sun. 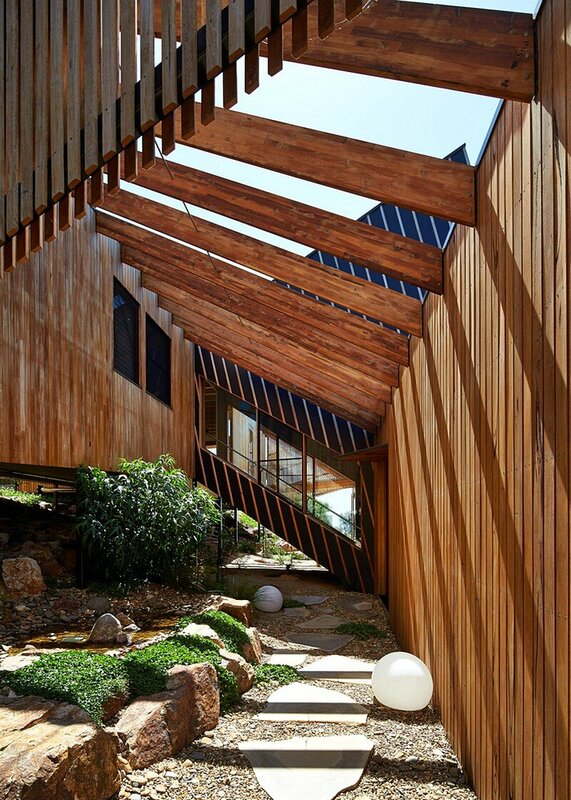 Occupying separate levels that follow the natural contours of the site, the 2 pavilions provide a separation between the upper, main living/master bedroom zone and rumpus room/guest bedrooms below. 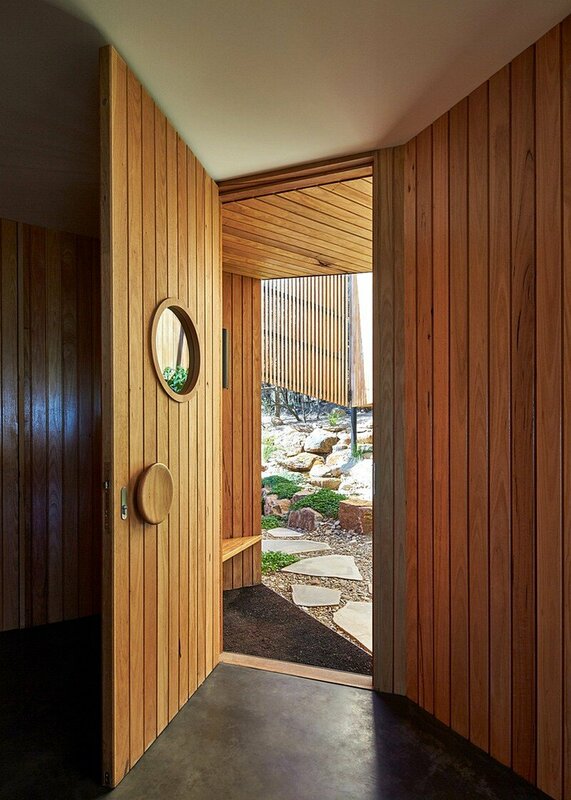 Through the curation of windows and doors a range of direct and indirect connections to the landscape provide multiple opportunities for occupation throughout the year. 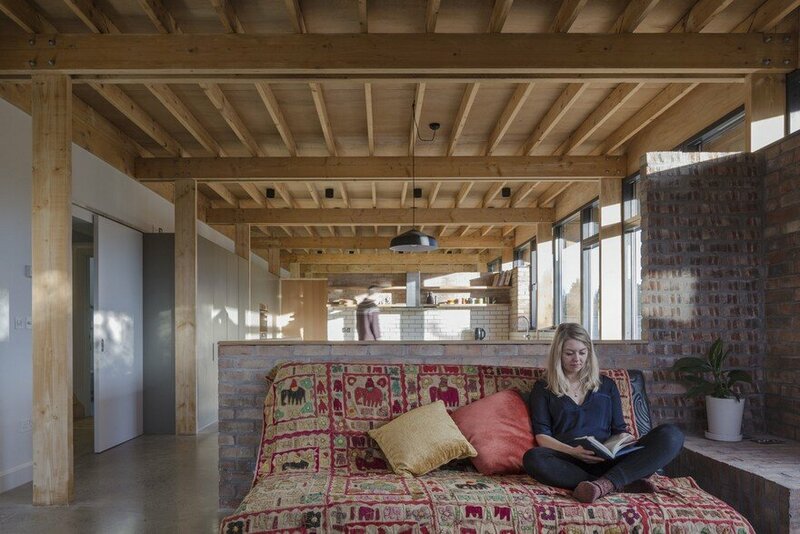 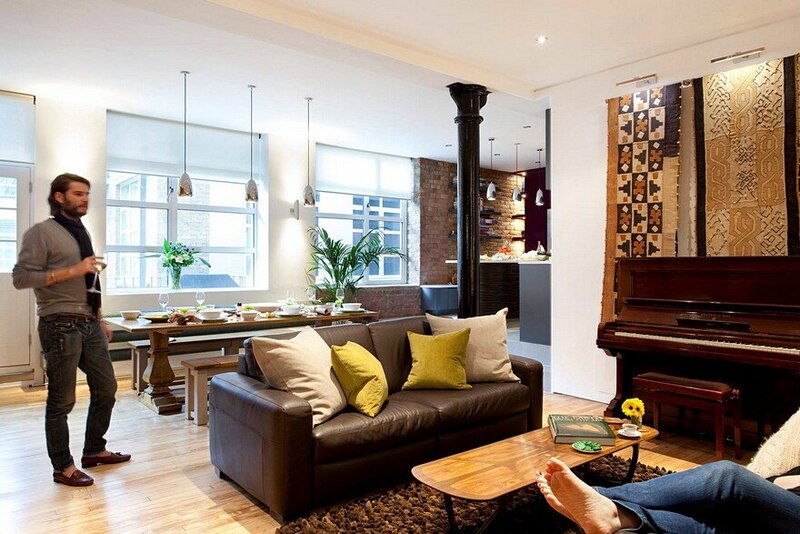 Smaller elements, such as integrated seating, stairs and study nooks provide spaces for quiet contemplation, juxtaposed with larger communal areas for family and friends to come together. 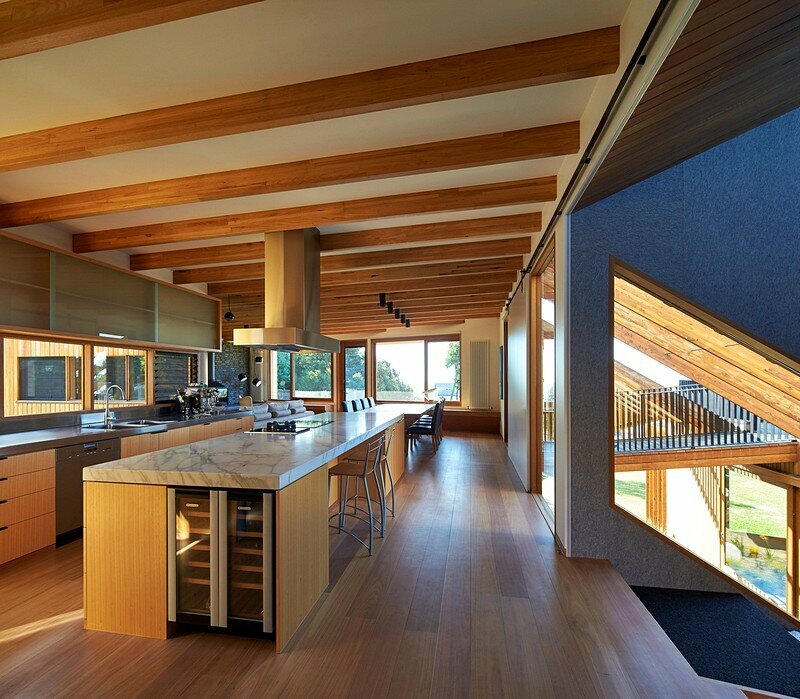 At its inception the landscape and spaces in-between the house were conceived as of equal importance as the building itself; screens and finely detailed pergola elements provide sheltered zones around the house that reveal themselves as a sequence of distinct spaces with varying qualities of light and shadow.